Christ the King Speech and Debate members have once again qualified several members for the State and National Championships. 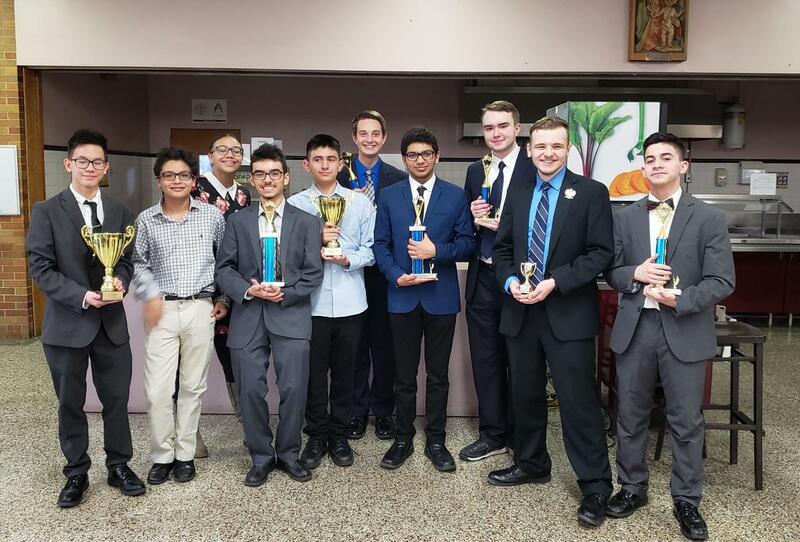 Ian Baksh, Diego Espada, Gregory Jans, and Elvis Soto in Intermediate Public Forum Debate; Krystian Makocki, Kordian VonCyga and Christian Wong in Student Congress; and Joseph Siguencia in Novice Lincoln Douglas Debate. This year the NCFL National Championships will be held in Milwaukee, Wisconsin during Memorial Day Weekend featuring the best speakers and debaters from all over the country. 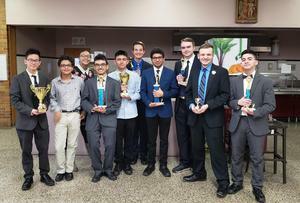 CK qualified 5 students: Ian Baksh, Diego Espada, Gregory Jans, and Elvis Soto in Varsity Public Forum Debate and Krystian Makocki in Student Congress. The CK Speech & Debate team will continue working very hard over the next few months to prepare for the State and National finals.